Yuzvendra Chahal has been Glenn Maxwell's nemesis in the ongoing ODI series and the Haryana leg-spinner said that the flamboyant Australian's vulnerability outside the off-stump has been his undoing. 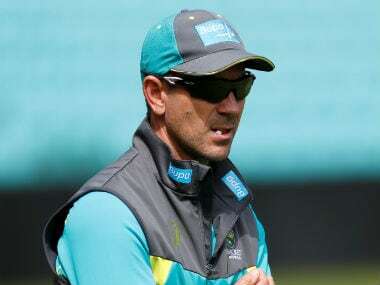 Bengaluru: Yuzvendra Chahal has been Glenn Maxwell's nemesis in the ongoing ODI series and the Haryana leg-spinner said that the flamboyant Australian's vulnerability outside the off-stump has been his undoing. Chahal has got Maxwell out on all three days with Maxwell being stumped in back-to-back games. "My plan to Maxwell is not to bowl at the stumps. That's a wrong area. I tend to bowl outside the off-stump and I vary my pace. I know that if I can bowl 2-3 dot balls, he will step out and try to play an aggressive shot. However, in order to beat the batsman, the line and length has to be perfect," Chahal said at pre-match press conference. Apart from Maxwell, David Warner despite his poor run of form will remain a threat, reckons Chahal. "Warner is Australia's key player. When he settles in, he can play the big knock. Although Aaron Finch scored a century in Indore, Warner is the most dangerous player," Chahal said. "He has the experience of playing in the IPL and his mindset is to attack. If he plays 40-50 balls, he can score 70-80 runs. Our main aim is to get Warner out quickly so that in the middle overs, we can maintain the pressure," he added. Talking about the edge over Australia, Chahal said Indian spinners made the difference, for they bagged 13 wickets compared to Australian spinners. "Our spinners have taken 13 wickets as compared to the Australian spinners. We have used the conditions much better than them. That is our plus point. Adam Zampa is the only wrist spinner in the team and he is not featuring in the team consistently," he said. Chahal feels that when batsmen put up a good score, it gives the bowlers more confidence. "If batsmen put up a good total on the board, then it gives the bowlers more confidence to bowl well. In the middle overs, we have bowled pretty well, be it the Sri Lanka series or in this series," he said. Chahal is happy that the bowling unit could restrict Australia to under 300 despite a good show by top-order. 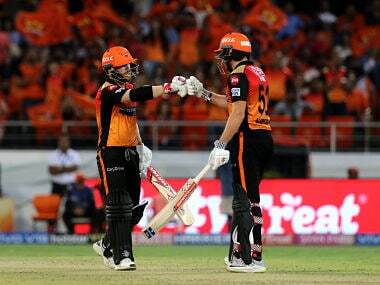 "In the last game, they were 234 for 2 after 38 overs. From that position, they were restricted to 293. It was a great exhibition by medium pacers at the death. Whatever spell the spinners are getting towards the end overs, we are getting wickets," he said. 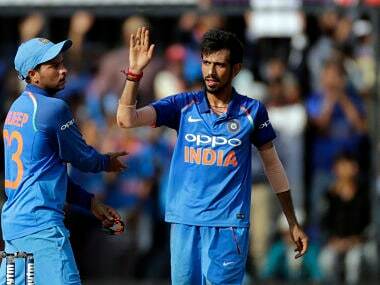 On bowling in tandem with Kuldeep Yadav and on Bengaluru wicket, Chahal said he knows the UP chinaman for a very long time and both plan things in a better way by deliberating on bowling strategies before the matches. "I know Kuldeep Yadav for a very long time. We have played with and against each other a lot. If I bowl first, then I tell him about kind of assistance the track is providing. If he bowls first, he does the same and what's the right area to bowl to a certain batsmen," he said. The newest spin twins are enjoying each other's success. "The combination is good. Before the match, we discuss what the wicket will be like. We also discuss what ball to bowl to which batsmen. We always have plans," he added. Chahal said that the nature of Chinnaswamy track has changed in the last couple of years and has something for spinners. "The wicket now is offering more turn to the spinners. It is a bit slow and there is grip, which was not there earlier. The boundaries here are small but if there is assistance in the wicket, you can get the wickets," he added. On ICC rules for size of the bat, Chahal said, "I am not aware of any player in the Indian team changing the size of the bat.